How Do Thieves Scan Credit Cards in Your Purse? The magnetic strip, or magstripe, on the back of credit and debit cards is crucial. It contains all the information needed to conduct transactions when you swipe your card. Without that information, a card reader lacks what it needs to check your balance or authorize a purchase. Unfortunately, the magnetic strip is subject to wear and tear and may get scratched, dirty or demagnetized, any of which can render a card useless. Unusable cards can be replaced, but it’s better to protect the cards in the first place. It’s a good idea to keep your credit cards in the ready-made slot pockets of your purse or wallet. Loose cards can get nicked, scratched or dirty. The ready-made pockets are meant for one card, but if your number of cards exceeds your slots, you might slide in more than one. If you do that, don’t carry the cards so the magnetic strips face each other. Instead, face both cards the same way, or better yet, put their fronts together so each card’s magnetic strip is nested against the material of your wallet or purse. 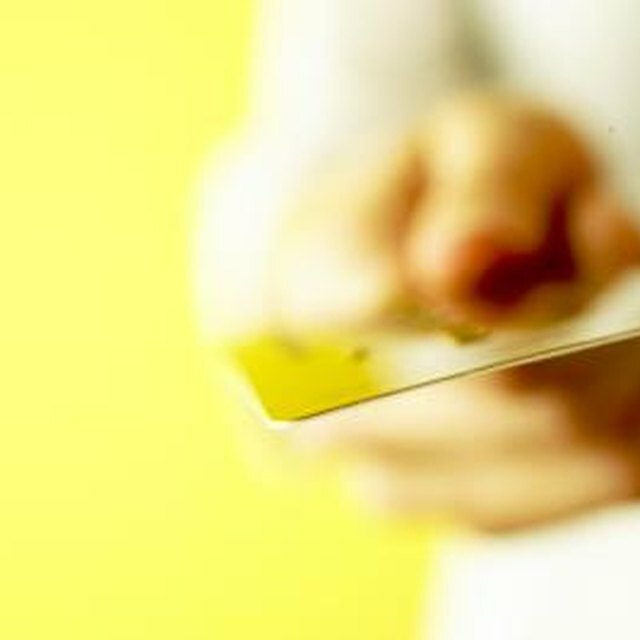 Sometimes a credit- or debit-card issuer includes plastic or paper pockets for carrying cards. These handy sleeves protect the magnetic strip from scratches and dirt. If none are available from your bank or the card issuer, you can buy the pockets separately. Some sleeves are created for security as well, protecting smart credit cards from being scanned. Smart cards contain a radio frequency identification chip. Through the use of Bluetooth wireless technology, these chips can be read without the need to swipe. These special sleeves help block anything from reading the radio-frequency-identification chips. You also can wrap the cards in aluminum foil to prevent them from being read without your knowledge. Shield credit cards from magnets, which will erase the information stored on the strip. Magnetic force isn’t stopped by measures such as sleeves or isolation in your wallet’s credit-card pockets, so the only way to protect credit cards from demagnetization is to avoid magnets altogether. At the very least, limit a stripe’s exposure to the magnet. Exposure time determines whether a card gets demagnetized. Likely exposure sources include wallet and purse clasps, which sometimes contain magnets, and some security tag deactivators, which are attached to pricey items at stores. If you’re standing at the checkout with a card that refuses to be read, the cashier can still make the sale. The cashier can input the credit-card number and expiration date manually into the card reader. The cashier also can call the store’s card-transaction company. Given the card number and expiration, the representative can process the payment instead.